This new outstanding performer is ideal for mass planting and low maintenance areas. It’s striking silver foliage is highlighted by crisp green veins throughout the leaf adding intrest and diversity to low light areas. 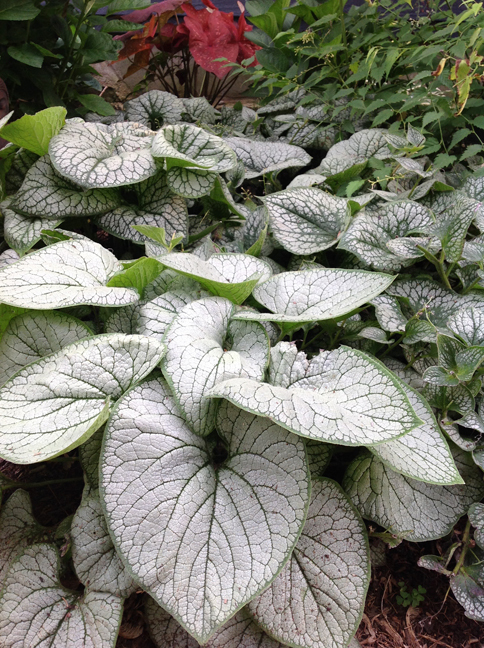 Easy to grow and will tolerate more sun than other Brunnera’s currently available. Produces tiny clusters of deep cobalt blue flowers which are highlighted above the leaves.